*IL/NJ/NY - Additional Shipping Charges Apply. The milk man won't be delivering this in the morning. But you can! 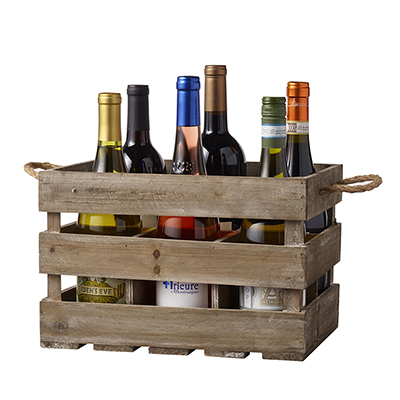 Our rustic wooden wine bottle gift box comes with (6) Classic, Vintners or Limited Series wines. Now you can send 6 bottles of wine as a gift! *Basket items & Wine selections subject to change based on availability.